I left off in my last post saying that it is frustrating to the Search Marketing (SEO-SEM) buyer in "Finding objective people or companies who are not under "undo influence" of any kind to be positive or negative in their reference giving,..". Google may help with this (click on cartoon to enlarge). That quote above is true since most of the references that prospective search marketing buyers get are from the SEO-SEM firm that they are considering. To me this is like asking Coke if I should buy Pepsi or Coke. Of course, Coke could refer you to Sprite for a referral to the answer, but bias would still be there. God forbid you don't know that Sprite is friend or partner to Coke. Yet Matt Cutts said in an Aaron Wall Interview when asked "..what would you personally look for when hiring an SEO? ": "References, probably. Proven success with clients who are willing to show their results." So, how does an SEO-SEM prospect find a way to get unbiased references in order to ask open-ended, leading questions of, along with great "peel the onion" follow-up questions? Here are a couple of ideas from Todd Malicoat that I really like. FRUSTRATION happens many ways. The cartoon (click to enlarge) is just one. The Search Marketing Industry continues to have a bad reputation, even amidst recent growth of acceptance of accountable Internet search marketing by mainstream advertisers in the ANA, as well as traditional ad agencies in the AAAA. My opinion is that there is something to be learned from the most looked up words in the online Mirriam-Webster Dictionary for the year's 2003 ("democracy"), 2004 ("blog"), and especially 2005 ("integrity"). I'll leave the analogies to you, but just say that "blogging" has a lot to do with "reputations". I must admit that I am mainly frustrated with the search engines for not joining together in developing a better set of standards that search marketers could follow, and not officially naming the search marketing companies and web sites that break their "standards" or "guidelines". But Danny Sullivan, who I first met at 6/9/05 Consumer Reports WebWatch Conference explained the reason for their reluctance well on 4/2/02 when he said (under "Involving Search Engines"): "Certainly all the major search engines have their own internal "blacklists" of companies and web sites that they consider to have spammed them. They've even discussed sharing such lists among themselves or with the public. However, the search engines also worry that someone might sue them for making such public statements." In my post entitled SEO "Performance-Based Pricing" = "Pay For Some Kind of Performance" (Part XVIII), I said: "I CAN'T EMPHASIZE ENOUGH, THE NEED FOR EVALUATION FORMS THAT ARE FILLED OUT BY TOP MANAGEMENT OF BOTH BUYER & SELLER ON A QUARTERLY BASIS! THE "INTERACTIVE AGENCY PERFORMANCE EVALUATION" ON PAGE 23, AND THE "AGENCY FEEDBACK TO CLIENT" FORM ON PAGE 27 OF THE "ICA's 'Client/Agency Evaluation'" CAN BE ADOPTED TO SEO AGENCY/CLIENT RELATIONSHIPS, in my opinion." Here's my take on what applies to both traditional ad agencies and full service search marketing agencies. The points in RED are most important, in my opinion. Once Madison Avenue traditional ad agencies (and smaller ones) totally recognize, accept, learn completely, and implement effectively Internet Search Marketing as the "Cornerstone" of their client's total marketing strategy, the husband and wife depicted in this cartoon (click to enlarge) may indeed represent many real life couples who have grown so dependent on the Internet that their night stands have PC's on them! They may even watch the Web Marketing Association's web site WebAwards in all their favorite categories along with the Academy Awards. Today is the first day of the OMMA Global Hollywood Conference & Expo. They talk about the evolution to a "100% Solution", and say: "As a result of more and more dollars shifting into digital and interactive-based media platforms, it is possible to imagine online media and marketing disciplines driving all marketing efforts." Search programs are certainly an important part of that 100% marketing solution mix. OMMA conferences are produced by MediaPost which did an article on 2/23/06 entitled "Verklin: Search Crucial To Marketing" which had the CEO of Carat Americas and chairman of Asia Pacific, David Verklin, saying: "In my perfect future, the strategy for any client is focused on driving prospective customers to a Web site first. From that Web site, consumers could then either browse, make a purchase, contact customer service, or find a brick-and-mortar location." So whether it's commercial or informational online search results the husband or wife are looking for (as differentiated in Yahoo! "MINDSET" Beta), they can go to bed content that they've found the "content" that they were looking for. 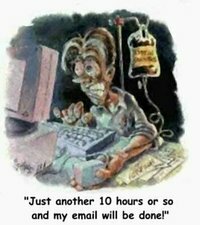 Recently, someone said I spend too much time on the computer. So, I was constructively convicted of that truth. While I benefit greatly from the good of a great Search Marketing Industry education, I also allow the evil of hindering my progress in other areas (like exercise). I love this quote on "EVIL" by Joan of Arcadia from the CowPi.com blog: "Evil is charming and beautiful. It makes you doubt yourself. It asks for one small compromise after another until it whittles you down, and, it functions best when no one believes in it." Everyone, including the Search Engines and myself, needs to be aware of how insidiously subtle evil can be. Now, back to my last comments on the Santa Clara University's (Markkula Center for Applied Ethics) Conference on "The Ethics and Politics of Search Engines" held on 2/27/06. While my personal "Distractions Devil" (click on image) has temporarily withdrawn, I want to make some comments on the panel notes of the Santa Clara University's (Markkula Center for Applied Ethics) Conference on "The Ethics and Politics of Search Engines" held on 2/27/06. The seagull in this early morning photo (click to enlarge) from Long Beach, N.Y. had a "fresh start". It appears that Google has the same thing, AND MORE, with the reintroduction of an old way of dealing with "problem advertising" (Click Fraud in this case) that is deemed the publisher's responsibility. Danny Sullivan said in this 3/8/06 SEW Forum post that "It's a fresh start to remove four years of liability for $90 million." The reason I emphasize "AND MORE" is due to the fact that for many years, my reps and I sold industrial directory advertising (print, CD, and Internet), and the "SOP" for problem ads was giving a "MAKE GOOD". I was surprised to see attorney Eric Goldman's "Lane's Gifts Click Fraud Lawsuit Near Settlement" have those exact words in his blog post. Why? Because, that advertising term had two implications to me with my background that I haven't seen mentioned yet, and will now explain. I wonder if "MAKE GOODS" will become a legal precedent? 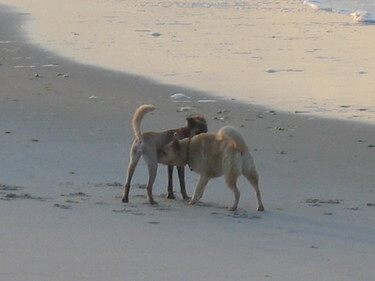 Is the dog on the right a short term "transactional buyer" or a long term "relationship buyer"? (click to enlarge photo) Please forgive the "dog" analogy here, but I couldn't resist using this Long Beach, N.Y. photo taken in front of my old apartment building, right on the beach (a great 4 years of my life - 23 years old to 27!). This Cre8asiteforums.com post talks about the theme of "customer differentiation" as it relates to SEO services selling. My opinion is that the dog on the right is NOT seeking a long term relationship. Value driven and ethical SEO sellers and buyers SHOULD BOTH be looking for long term relationships! Why? Because, I agree with Stoney deGeyter's 2/6/06 article "New Algorithm Measures Require New Means For Optimization" when he says: "Today’s SEO is vastly different than that of yesterday." He later says: "Experienced SEOs are finding that many sites can take six months or more just to see any kind of ranking improvement. This makes it increasingly difficult to differentiate from those who can improve your rankings and those who only say they can." Rankings do help with performance, but there are other things like "user friendly navigation", etc. that help with the more important "conversion rate" (visits to actions to sales). As Ben Shapiro says in "Is Performance-Based Pricing the Right Price for You? ", "The parties are forced to deal with one another's limitations, objectives, and trade-offs. The very process of discussing, in precise detail and with great discipline, these issues develops "wide-band width" communication between buyer and seller. Each has the opportunity to precisely present its objectives, and to explain its own issues." This initial and ongoing communication results in a potential build up of TRUST and CREDIBILITY, that goes beyond the first six month's "honeymoon period", and can translate into a long term, "win-win" situation when the "match" is right. 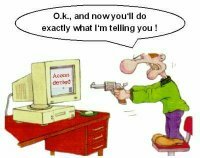 I almost closed out this series of blog posts until I saw this Cre8asiteforums.com Thread on "Protection from Unscrupulous Prospects, Avoid getting ripped off by 'customers'". It would not be "fair and balanced" of me to omit this SEO topic from this series, so here goes. 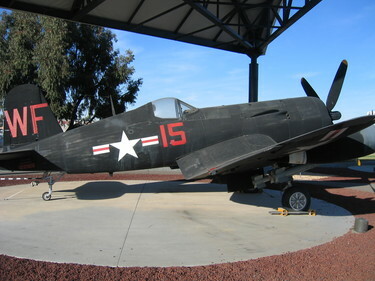 Wouldn't you want to do a "Reference Check" on this Vought F4U-5N "Corsair" (Performance-Fighter) WWII aircraft (at MCAS, Miramar, Ca. = "Top Gun") before you flew in it? (click to enlarge photo) The same thing goes for choosing a SEO Agency Consultant firm as a long term partner. This "Best Practice in Agency Search & Selection" Report by Salk & Reynolds Management Consultants (Prepared for the Institute of Communications and Advertising - "ICA") was directed at traditional ad agencies. I feel it can easily be adapted to SEO firms-agencies and their prospective clients. Therefore, I will take the liberty of inserting the appropriate keywords in "parentheses" in place of what is in the report. To start, it says: "No (SEO) agency search is complete without reference checking. It maintains honesty in the process. It will identify issues and problems and also confirm, or deny, the subjective opinions and interpretations of the (SEO buyer)." It then goes on to say: "Which (SEO clients or former clients) should you choose? Consider asking the (prospective SEO firm-agency) for a list of client companies that are similar to your own - think particularly of size, complexity and similarity of service model or (online search user) relationship. You may want to broaden this reference list with (clients) chosen at random from the (prospective SEO agency's total list) of clients, or check with a recently departed (former client) if one seems particularly appropriate. This latter needs to be treated with care as there is usually two sides to every story. In any case, the (prospective SEO agency) needs to be advised in advance as to which (clients or former clients) will be asked to provide references, so that they can be notified by the (prospective SEO agency) to expect your call." 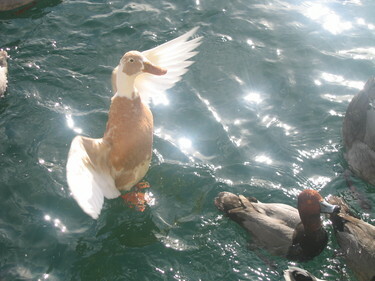 If you feel you have to "spread your wings", and start an "exit" while you appear to be "walking on water" like this colorful duck is doing (click to enlarge photo) at Lake Mead Marina near Las Vegas, Nevada, then you need an "exit clause" in your SEO "Pay For Some Kind of Performance (Actions)" service contract. This should be done upfront, when the initial contract begins, and should be needed only in case the contract is terminated before the full term of the contract. Otherwise, everything else should be covered, and either party should be free to "go their way" with no obligations other than an explanation (preferably in writing). It also should be fair to both parties, based upon the circumstances (the real reasons for early "termination of relationship"), and the timing of the "exit" by either party (how much work and results were accomplished by then). That said, I want to communicate my opinion of how any seller of services should look at "entering into" and "exiting from" any relationship (contractual or otherwise). My opinion is that I've always wanted my services to financially benefit my employer, independent contractor licensor, or client MORE than I do from the relationship. Even if it is A LOT MORE, that's OK, as I always have the option of not giving the benefit of my services for the agreed upon remuneration to begin with. I can also confidently ask for more compensation once my proof of performance is there, if I feel I'm underpaid. That "giving attitude" has paid off, big time, in the long run for me my entire life. Because, what I have given, has come back to me many times over in direct or indirect ways. Yes, in a few instances, my, almost life long, straight commission, performance-based pay resulted in me "loosing the battle" (like when my client didn't pay the bill, or backed out of the deal somehow), but overall, I "won the war". The buyer of services has an obligation to be cooperative, and communicative, and to not try to take unfair advantage of the seller in any way (especially when it comes to paying the agreed upon compensation for services well executed). So, let's get to some things (not all) that can be in an "exit clause" for my "one suggestion" relating to SEO "Performance-based Pricing" remuneration.